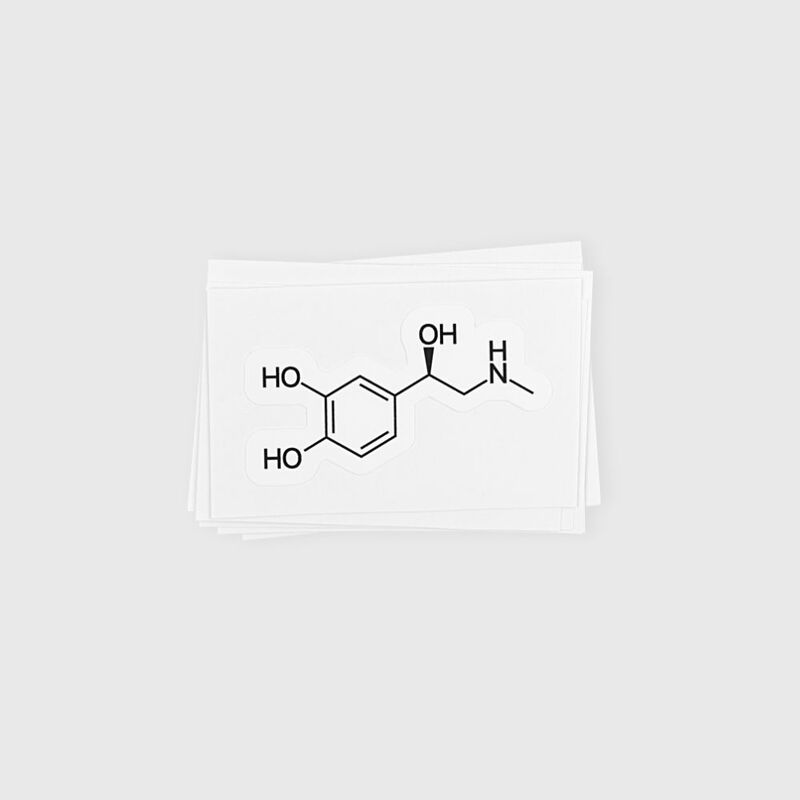 You will get 3 beautiful die cut adrenaline molecule stickers. 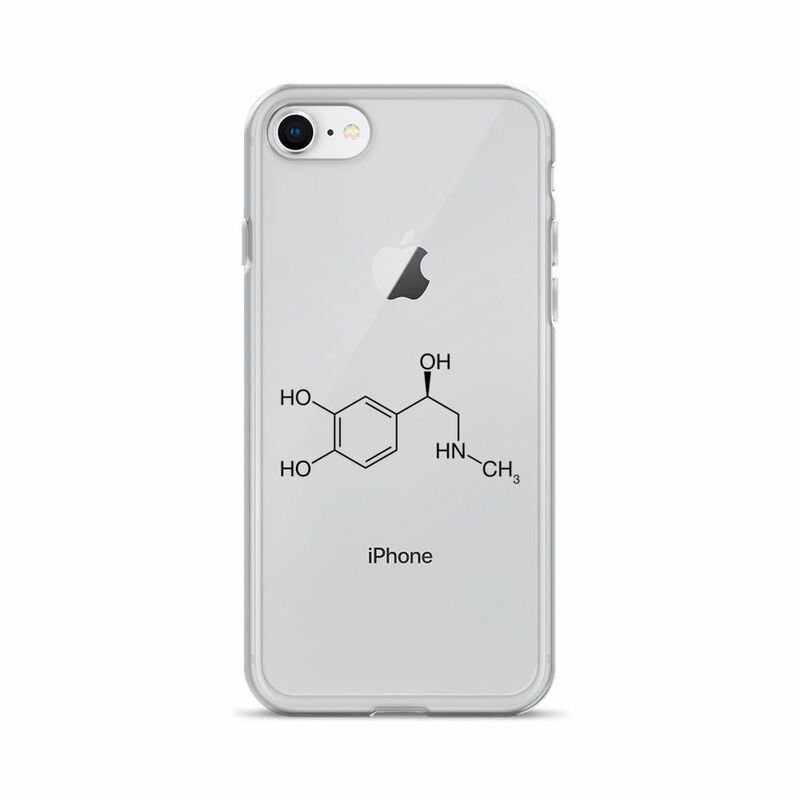 Stick them on anything related to adrenaline, like surfboards, snowboards, your chess set or your commuter card and be the coolest geek in the world. Buya! They say life is not measured by the number of breaths we take, but by the moments that take our breath away. 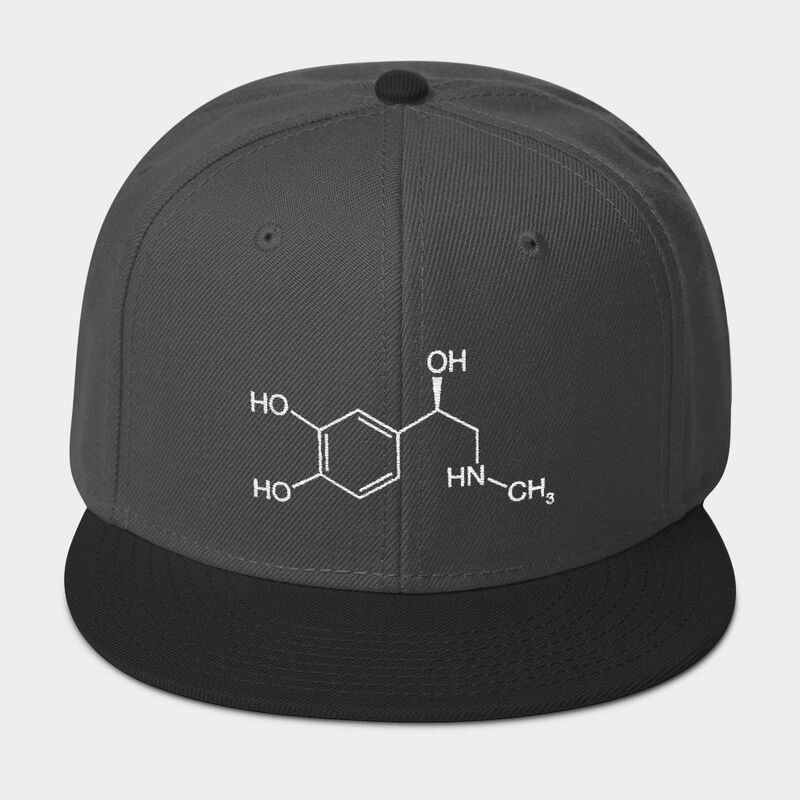 We like to think this cap is the perfect gift for anyone loving some adventure and action sports. It’s structured and high-profile, with a flat visor and a subtle grey under visor. Made in New York USA 🇺🇸¸ or Eindhoven NL 🇳🇱 (depending on where you are ordering from). They say life is not measured by the number of breaths we take, but by the moments that take our breath away. 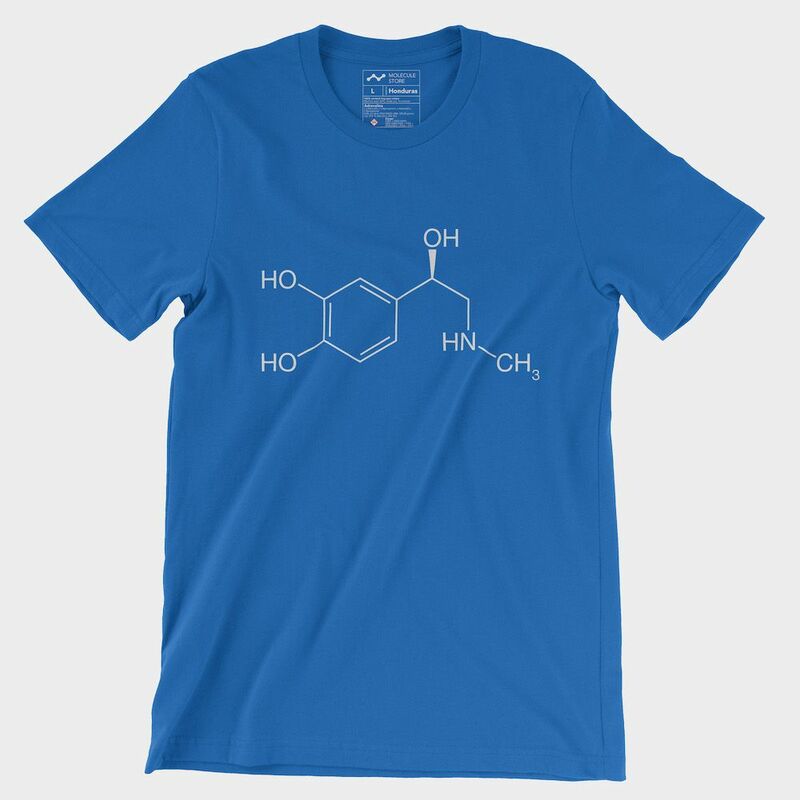 We like to think this adrenaline molecule is the perfect gift for anyone loving some adventure and action sports. 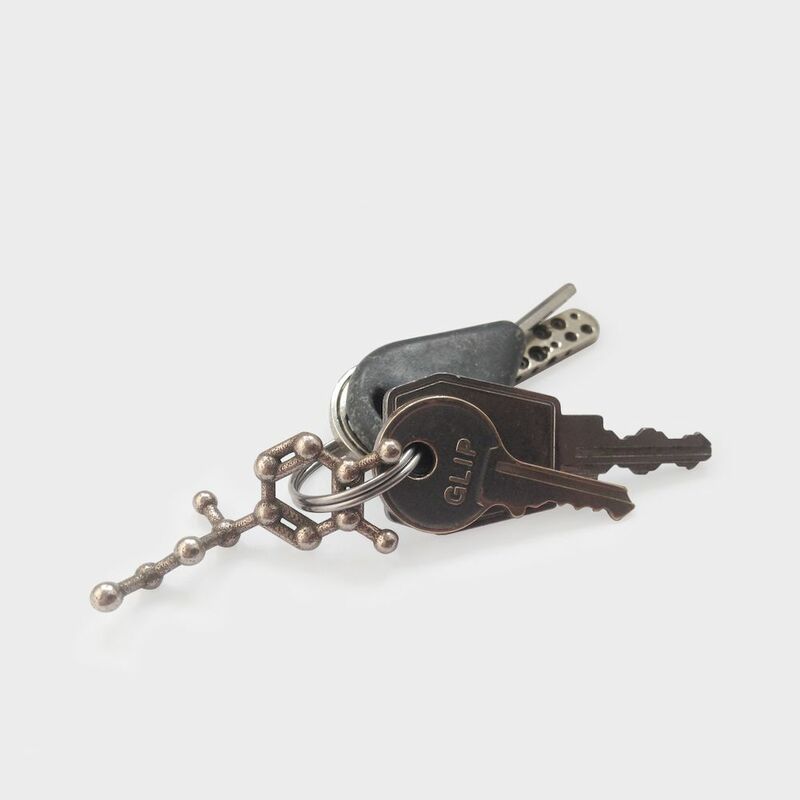 Also makes a wonderful desk toy, charm, rearview mirror pendant or zipper pull. 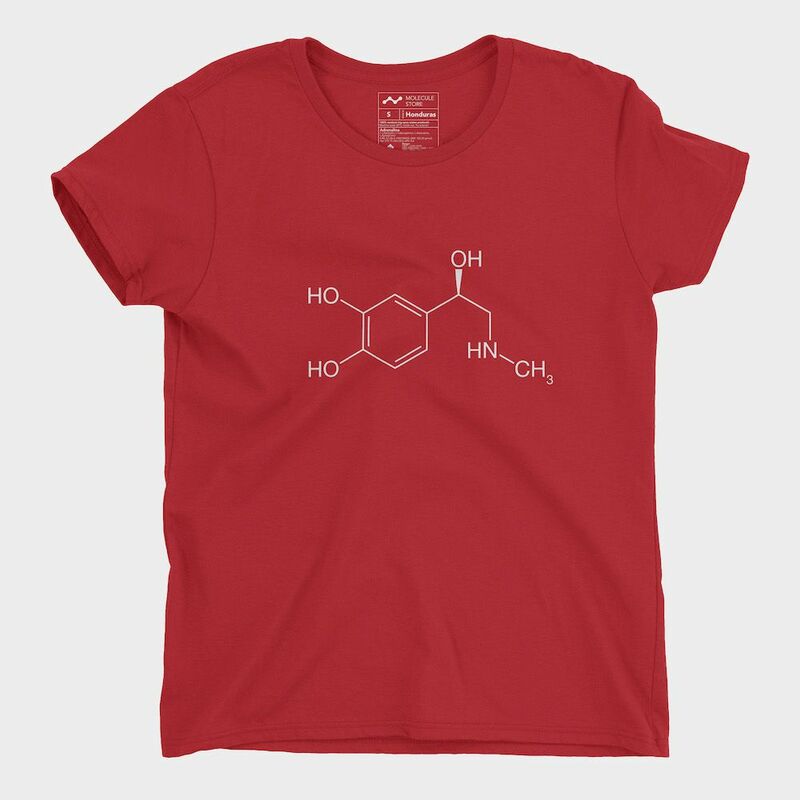 Adrenaline molecule on a fashionable & feminine cut ladies t-shirt. 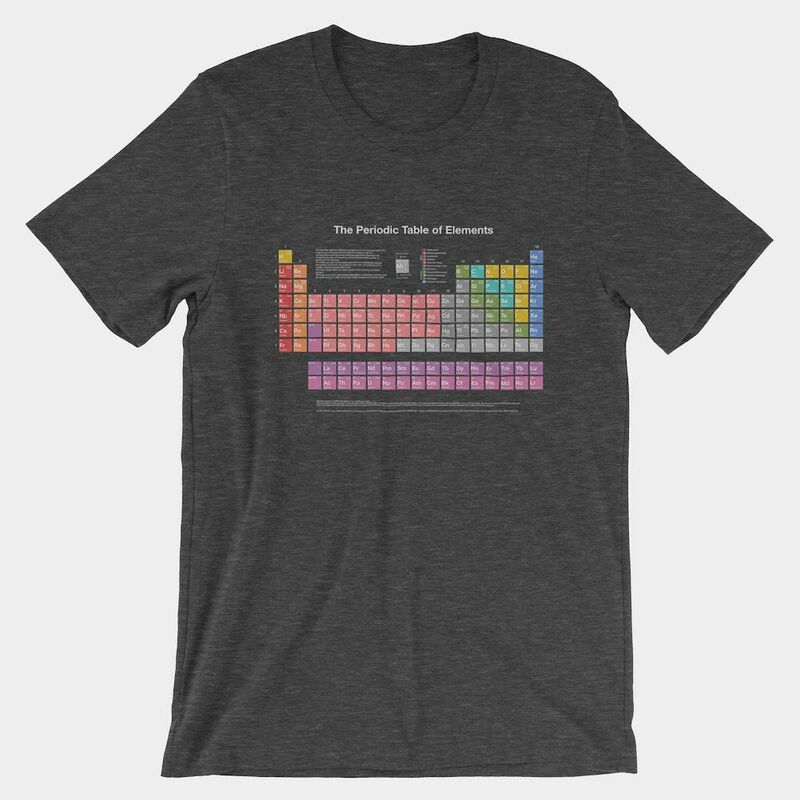 This t-shirt is perfect for adrenaline junkies. 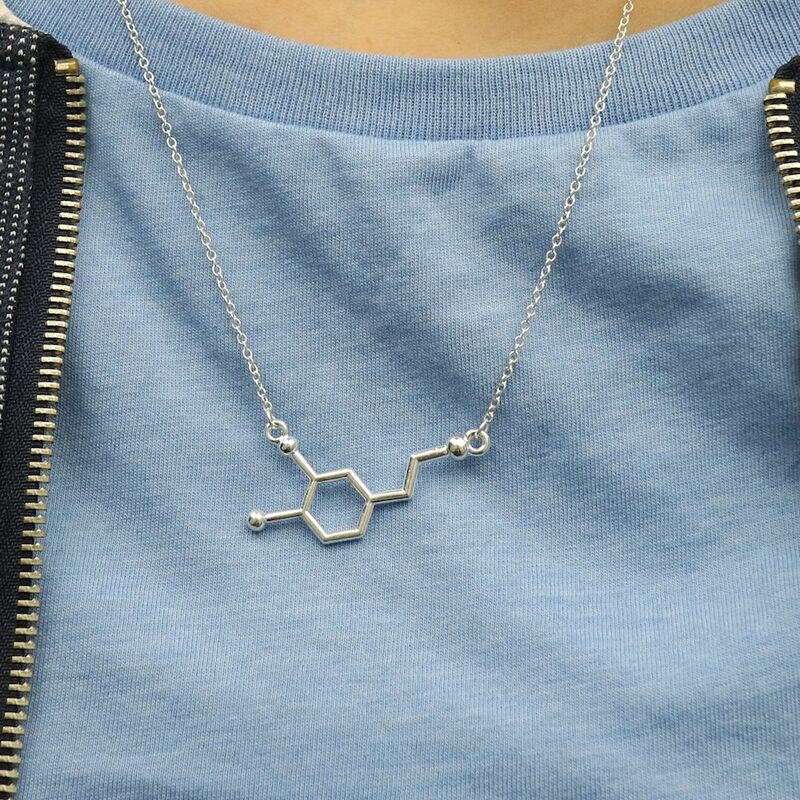 We can 3D print any molecule or name (think polypeptides) you want for necklaces, earrings, keychains or educational molecule or protein models! 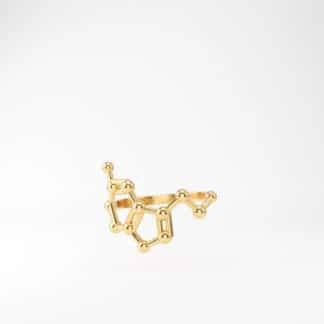 The materials possible go from nylon plastic, full-color and transparent prints to solid gold. 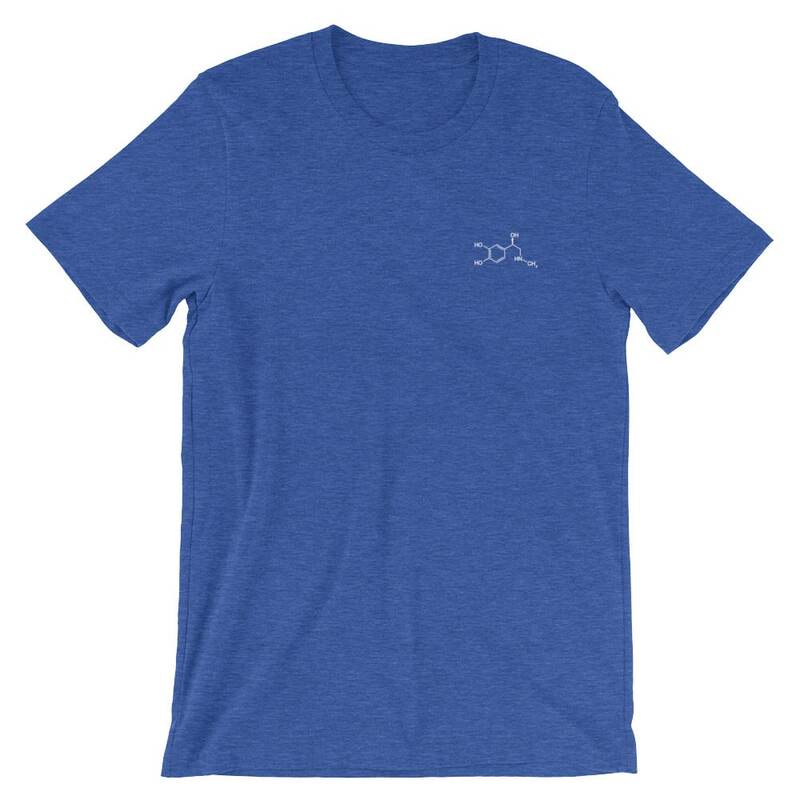 We can also print or embroider any molecule on a t-shirt, hoodie, phone case etc. – just write us an email by clicking here. 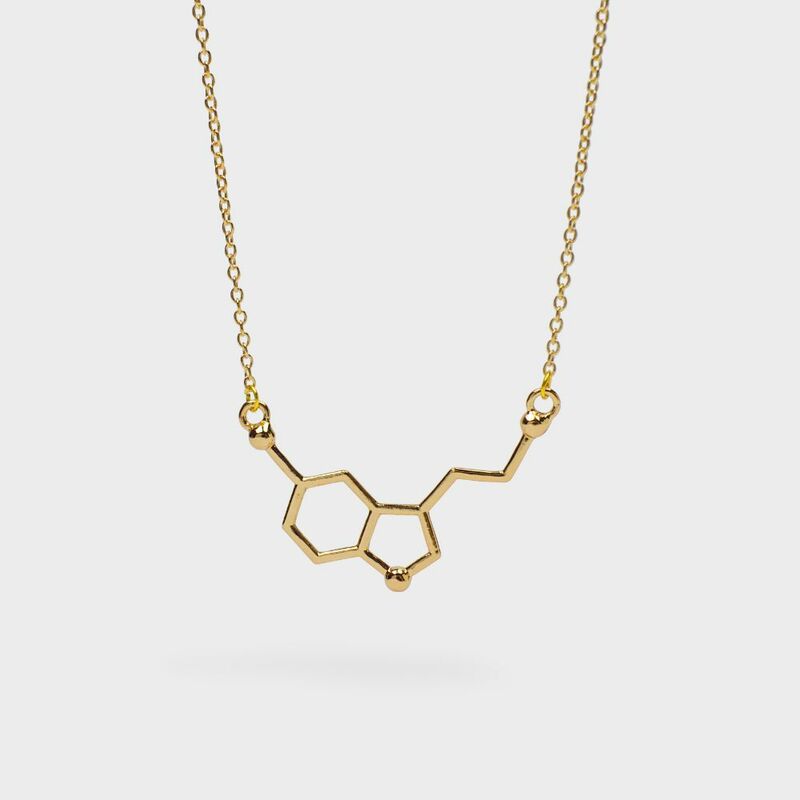 Get those neurotransmitters flowing! 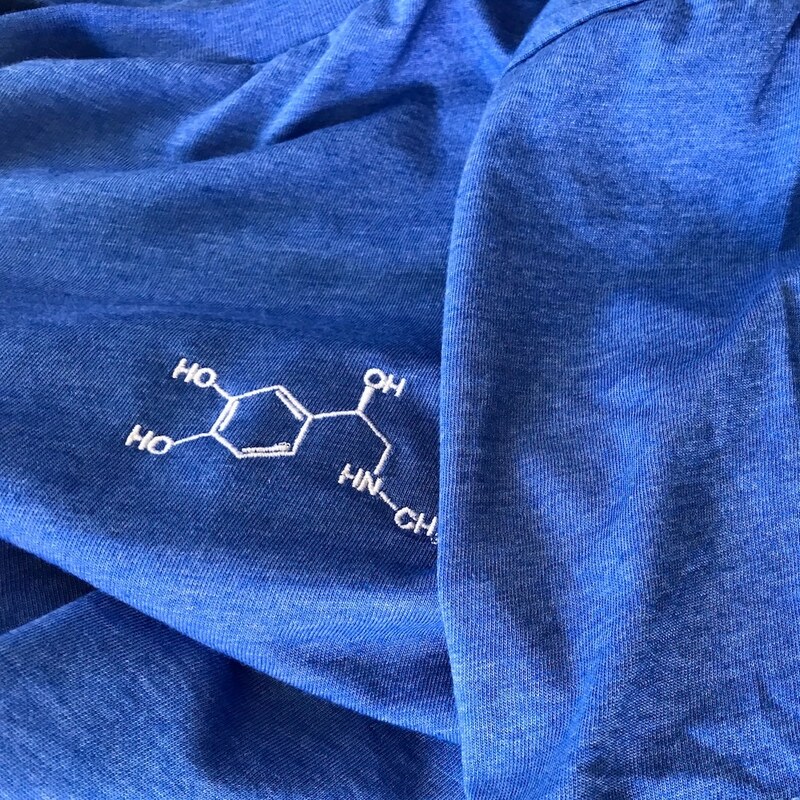 High-quality yoga leggings for maximum chemistry. 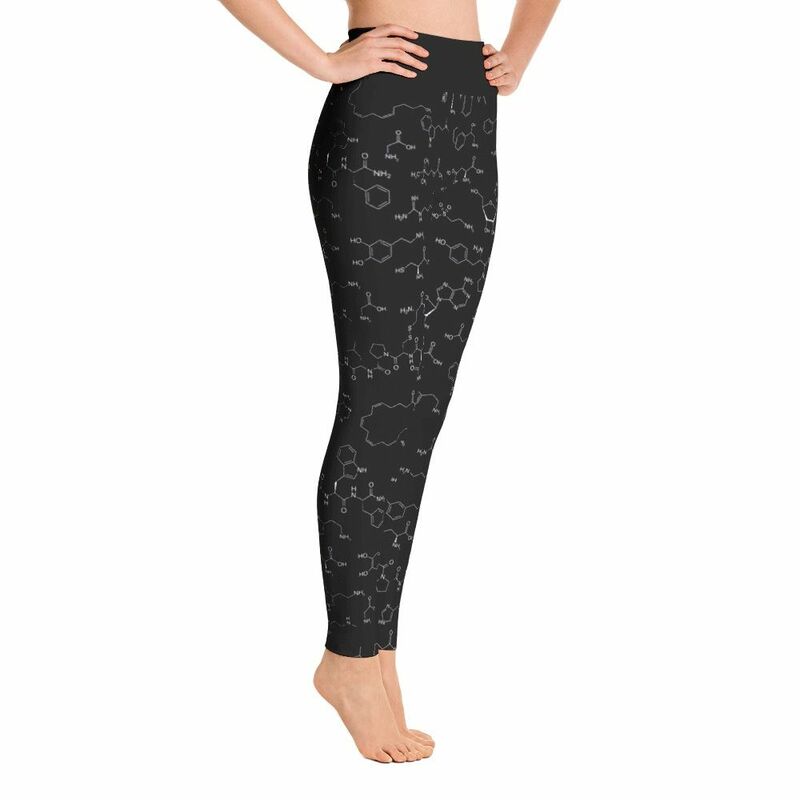 Each pair of leggings is hand cut and sewn in-house after printing. 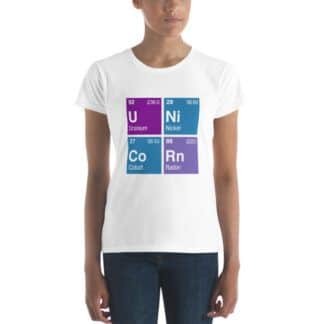 We have included many neurotransmitters in these yoga pants. 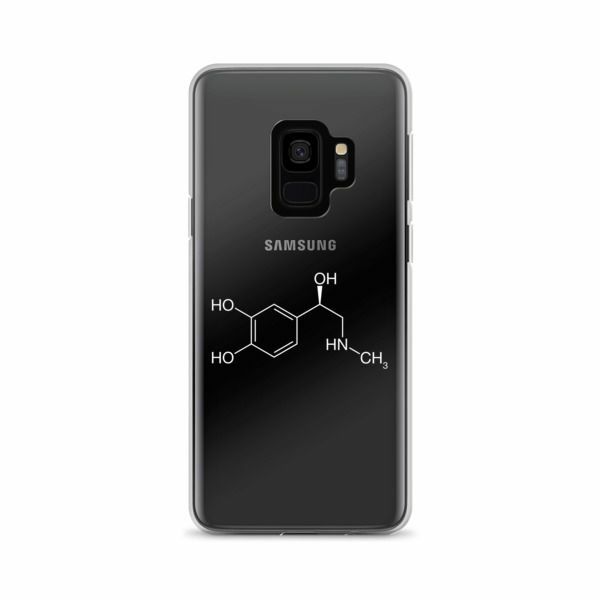 The list includes oxytocin, serotonin (5-hydroxytryptamine), dopamine, gamma-aminobutyric acid (GABA), glutamate, asparagine, arginine, norepinephrine (noradrenaline), epinephrine (adrenaline), histamine, serine, tyramine, tryptamine, anandamide and adenosine triphosphate (ATP).